As I have said previously, the festive food goodies are one of my favourite bits of Christmas. It’s great to enjoy some yummy treats, surrounded by friends and family. There are a few treats that we get every year and this year we (mainly me haha) have taken that a bit further and have been creating a ‘Festive snack table’. Everytime we’ve gone to a supermarket or seen a tasty, tempting snack we’ve picked it up for the table and it’s starting to look rather good. This is great for cosy evenings and if any guests come over during the festive period. Festive chocs are a must! Especially for a chocoholic like me!! A Christmas classic is the matchmaker style chocolates. I picked these up in Aldi in both the chocolate orange and mint flavours. I also got a selection of truffles. You have to have a tub of chocolates at Christmas time, it’s a must. Whether your favourite is Heroes, Celebrations or Quality Street these just feel so Christmassy. My favourites are Heroes (Cadburys ftw!) Where as my husband’s is Celebrations. Shortbread is my absolute favourite biscuit and a Christmas must have. I love those festive tins too. I have my favourites, the Tesco tin, and I’m also trying out the Aldi shortbread too. Co-op have come out on top so far but I’ve also been trying the Tesco, Aldi and M&S ones, just to be sure! Haha. I discovered my love of Panattone last year when I was gifted one, so this year I purchased one of Aldi’s Pandoro, I can’t wait to try it. Our savoury snack choices this year were of course Pringles and Aldi’s version, stackers as well as Twiglets and Mini cheddars. These cute Robin treats were part of Aldi’s Christmas range and we couldn’t resist. On the right is a hollow chocolate robin character and on the left is a chocolate orange celebration cake. I hope I can bring myself to cut into them, they are pretty cute!! So, that’s our snack table! What’s your favourite festive snack? 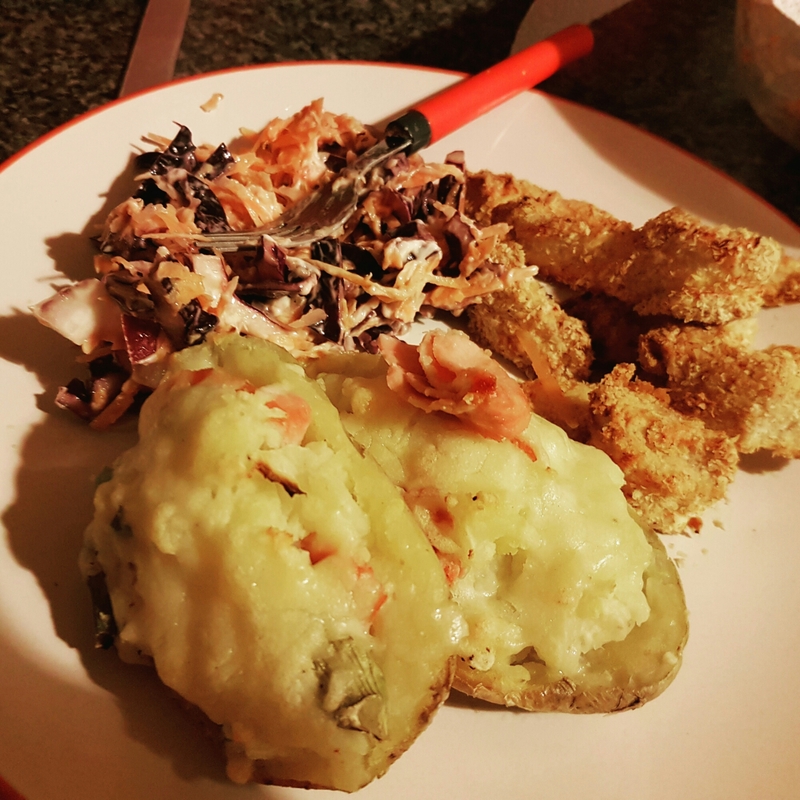 So, if like me you LOVE snacks and having a tasty treat alongside your free/speed food on the Slimming World plan then this post is perfect for you. 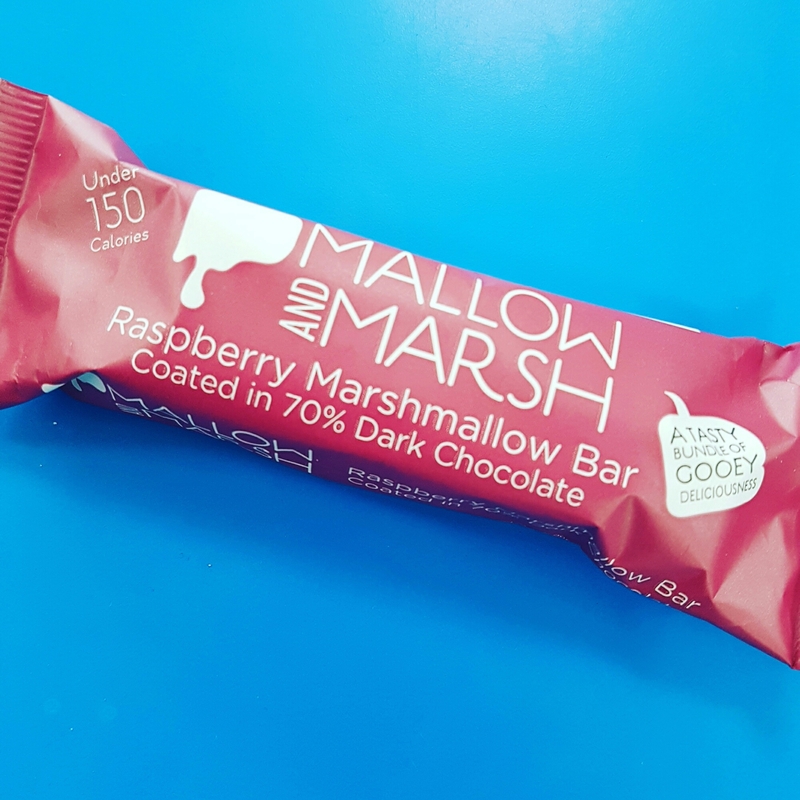 I love the versatility of the plan that Slimming World offers, especially the 5-15 syns that allows for some seriously sweet, and super yummy treats. Below I have listed six of my fave sweet treats, including their syn values. 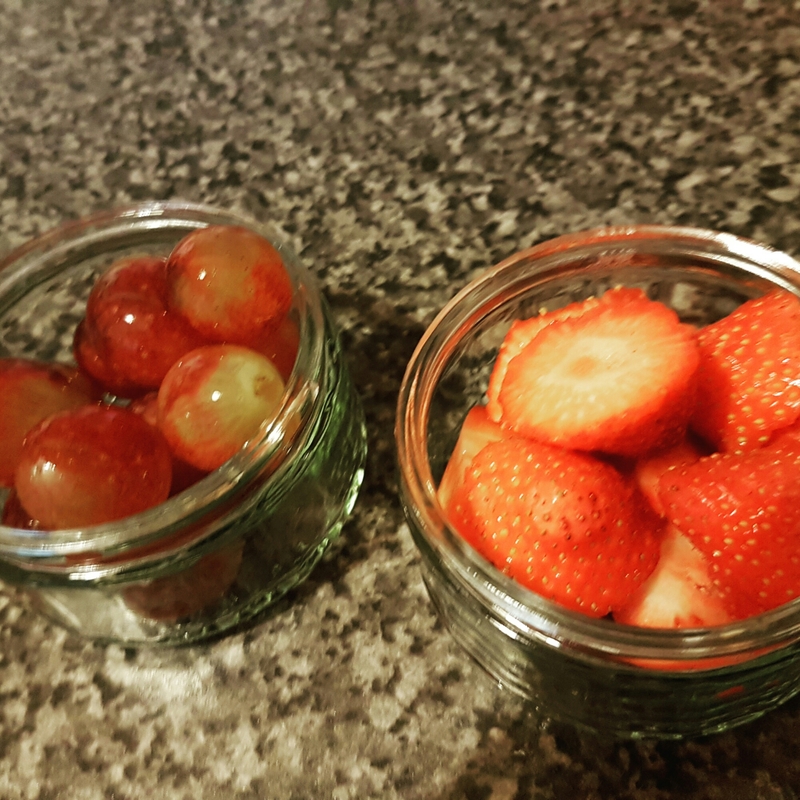 Hopefully this will give you some inspiration, if like me you need help with treat ideas and low syn snacks to get you through the day. The syns depend on the brand. I love the mini packets from Tesco that are 2.5 syns & Aldi’s own brand, which are a much bigger bag, for 6 syns. Popcorn is a great snack, healthier than others & great for the cinema! My favourite flavour of hi fi bar is salted caramel, they are A-MAZING! These are a great snack but some are also great as a cereal bar for a quick brekky on the go. These are only available in class. Syns: 2.5 syns per biscuit. 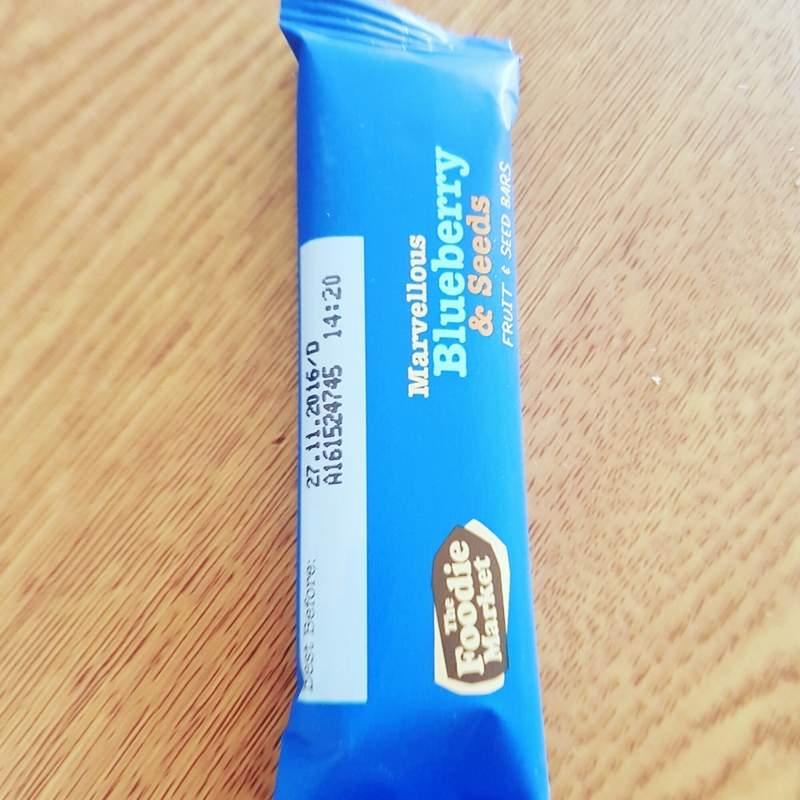 These are literally one of my favourite biscuits, covered in my favourite chocolate (I used to love the Cadbury shortcake bar in the blue wrapper!! 90s throwback!!) I didn’t realise how low in syns theses are… perfect with a cuppa and they definatly sort out that choc craving. I LOVE these, they are so crispy and delicious and FULL of Nutella!! They are a great sweet treat for all you chocoholics like me. 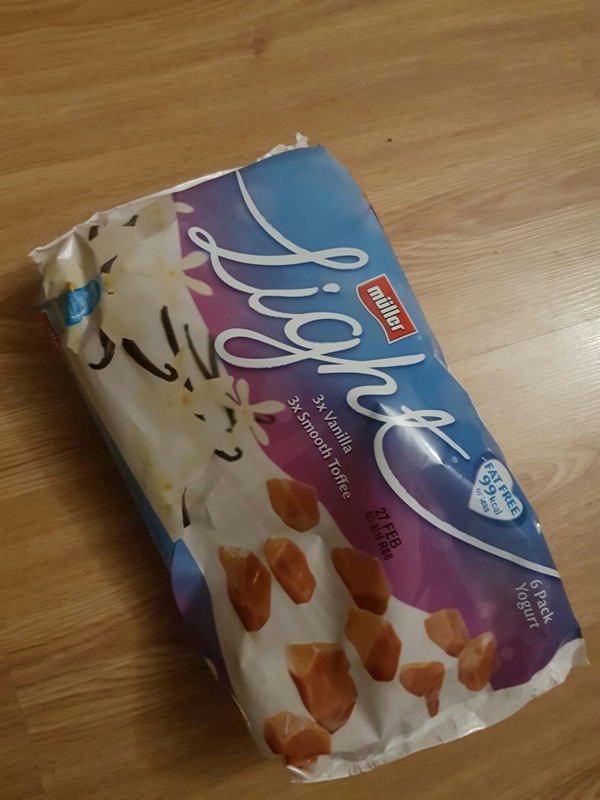 These make a perfect dessert after a meal, they are really tasty, with loads of flavours available & are really low in syns. My favourite flavour is raspberry. Make sure it’s No added sugar Jelly as the others are more synful. These are so sweet! I love the combo of dried fruit, which is naturally super sweet, and loads of little cubes of white chocolate, sooooo good. They are surprisingly chocolatey too. Well worth 4.5 syns as you get alot in the pack too, more than you’d think. These are all perfect, they hit that sweet craving and make a great addition to a snack plate at the end of an eve. Who says following a meal plan means you have to eat boring food aye, because let’s be honest, we all like a snack. I hope you’ve found this handy. If you’d like me to do a savoury version then let me know. Any of your ideas are greatly received too, anything to fend off my v.sweet tooth. If there is some leftovers after Easter Sunday… I’d be very surprised if I have any… I thought that these would be the perfect solution! Don’t they just look delectable!?! Grab those creme eggs that you couldn’t manage and make something yummy for yourself, or if you want to share (you might not, they are sooooo good) make them for family and friends too. I will leave a link to the basic brownie mix that I used and of course explain my eggcellent 😂 (sorry, not sorry) extra naughty but, nice additions. So I made up the Brownie mix that I’ve linked above, and stirred in a pack of mini eggs, with me it’s Cadbury’s all the way people. I then halved creme eggs and pushed them into the batter so they were halfway submerged in the gooey goodness. You 100% need to give these a go if you are a lover of chocolate like me, you won’t regret it. What’s better on a Saturday night than a cosy movie night!?! especially at Christmas!! Me & the hubby put on our comfys, got a blanket and I made us some hot choccies whilst Tim scrolled through Netflix. He settled on ‘Deck the hall’s’ starring Danny Devito. With hot choccies in hand and sweet & salty Popcorn packets we snuggled down to watch the film. I actually really enjoyed the film, it was one I had heard of many a time but had never watched. It’s super festive and I love all the Christmas, lights and snowy scenes, perfect for making you feel christmassy. A great Christmas evening in. 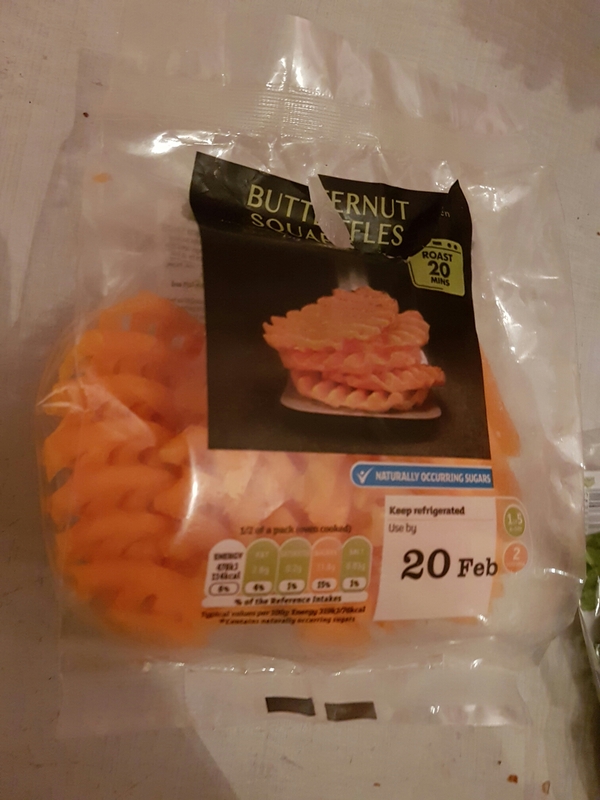 I’ve grabbed quite a few different and new Slimming World friendly products this recently during our weekly food shops so I thought I would fill you guys in. 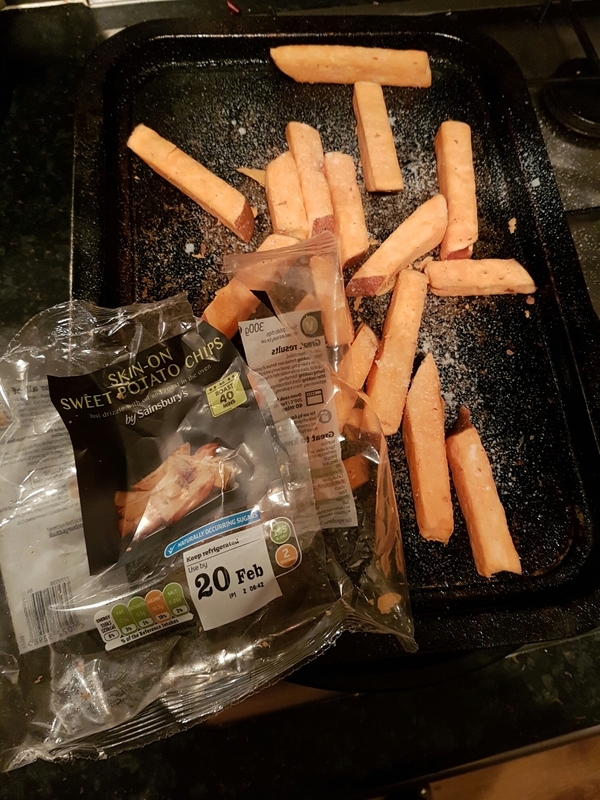 These are so tasty and a great alternative to high syn waffles and chips. Butternut squash is an S too which is great and it means a less carb loaded meal which is nice to have sometimes. Sweet potatoes are quite hard to cut up and I was feeling a bit lazy haha. These are super tasty and a yummy alternative to normal potatoe chips. 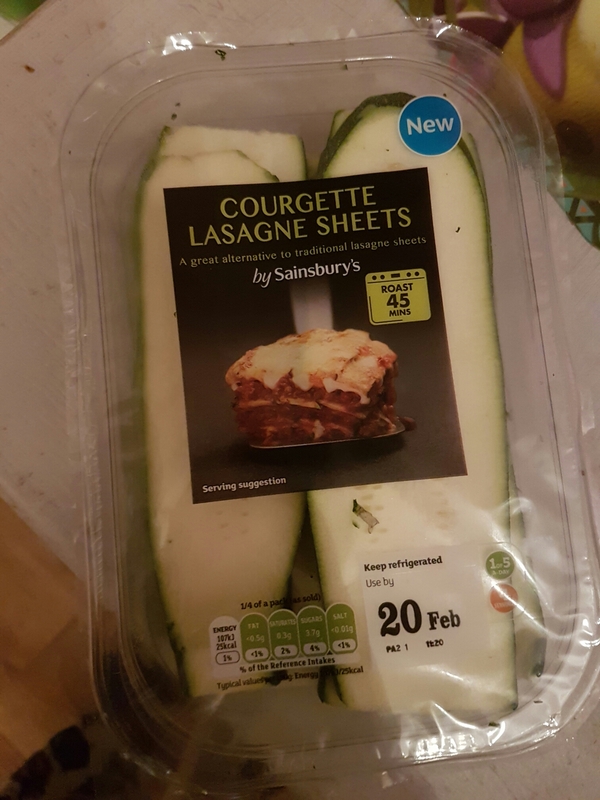 Again these were a nice alternative to pasta lasagne sheets and are an S which is even better. These can just be layered inbetween the usual mince and cheese sauces without any need to be pre cooked! Much quicker, less faffing about. 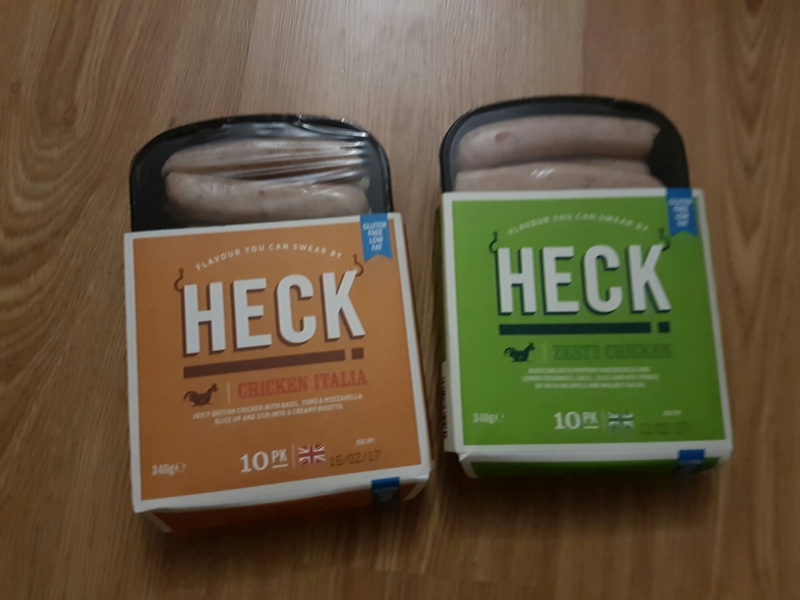 These sausages are so yummy and only 0.5 syn for 2. 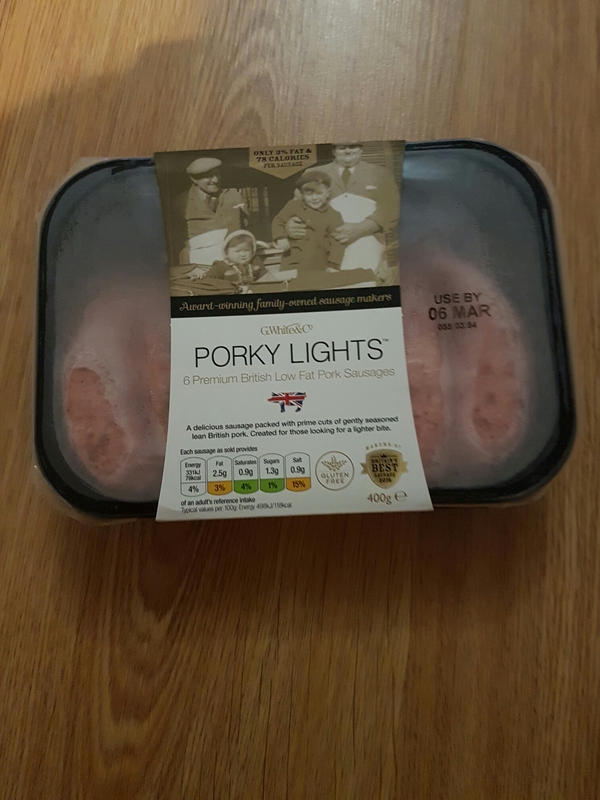 I know it may seem wierd as they are chicken but they make a nice alternative to pork sausages and have a really nice flavour. The Italia ones with mozzarella & tomato are my favourites. These are so tasty and only 0.5 syn each which is awesome for pork sausages. These are so good! Their only downfall is the price so I try to grab them when they are on offer. 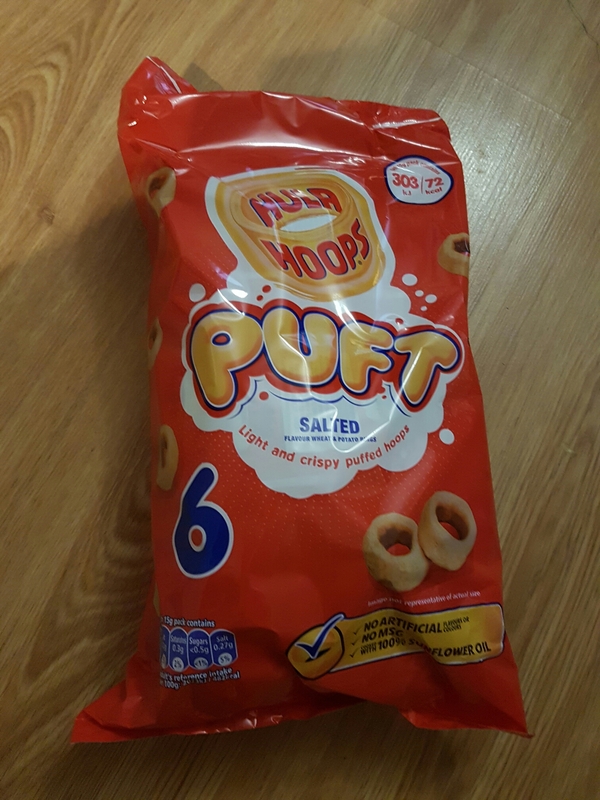 These crisps are really nice and great as a snack. They are 3 syns a bag which is really low for crisps. Completely free and so yummy. An excellent dessert, snack or addition to a packed lunch. 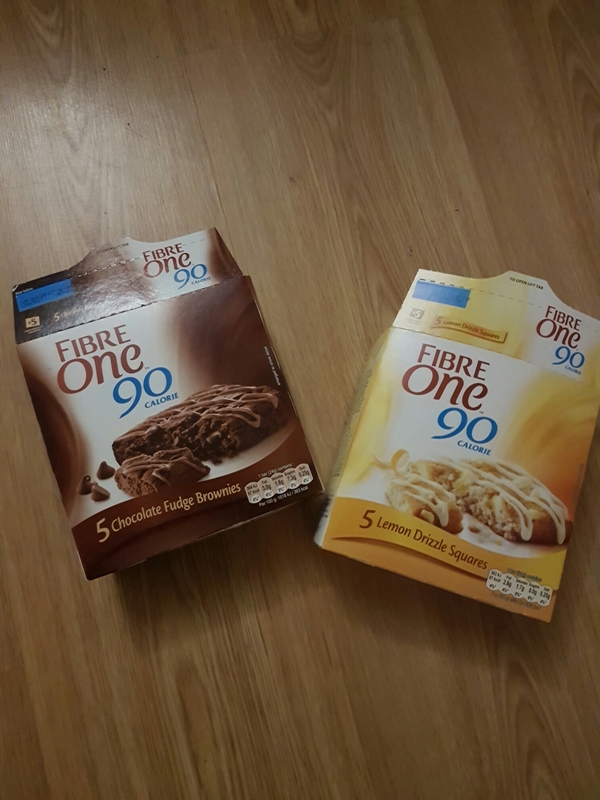 These fibre one treats are only 4 syns each, and trust me they are worth it! The chocolate brownies in particular are as good (if not better) than many cafe brownies. They also come in Lemon drizzle and salted caramel flavour. These are a great chocolate fix and I love having these as a snack at work. These are 4.5 syns per bar. I also have these in chocolate orange flavour which is my favourite. And of course…lots of fresh fruit and veg! This is probably the bulk of our weekly shop but so worth it and super good for you. 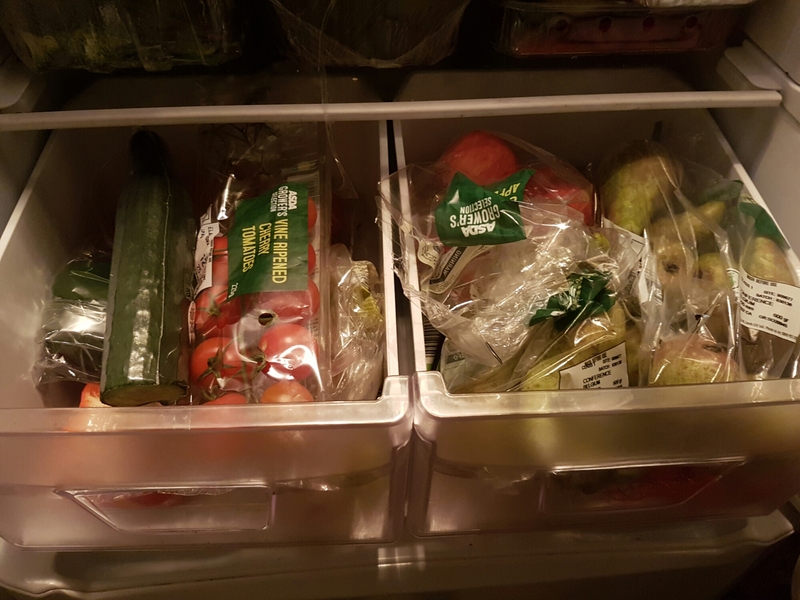 We always have apples, Pears, strawberries & raspberries (when available) and lots of salad veg such as toms, peppers, cucumber etc as these are my favourites to eat. 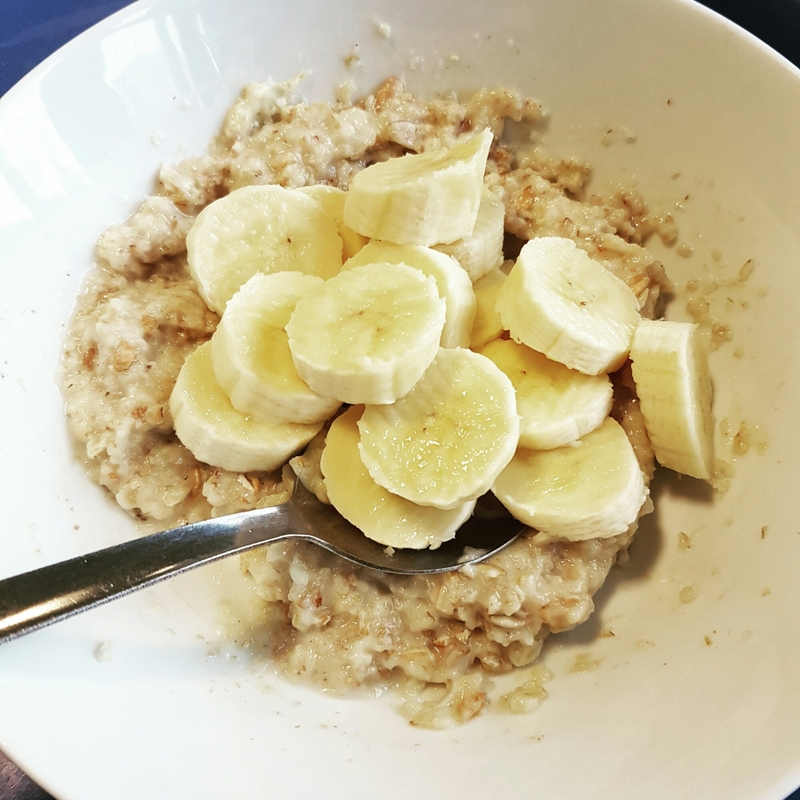 As you may or may not know from my blog, I follow the Slimming World plan. Let’s start with my favourite meal, breakfast! Now working in a school means that we have a break time mid morning. 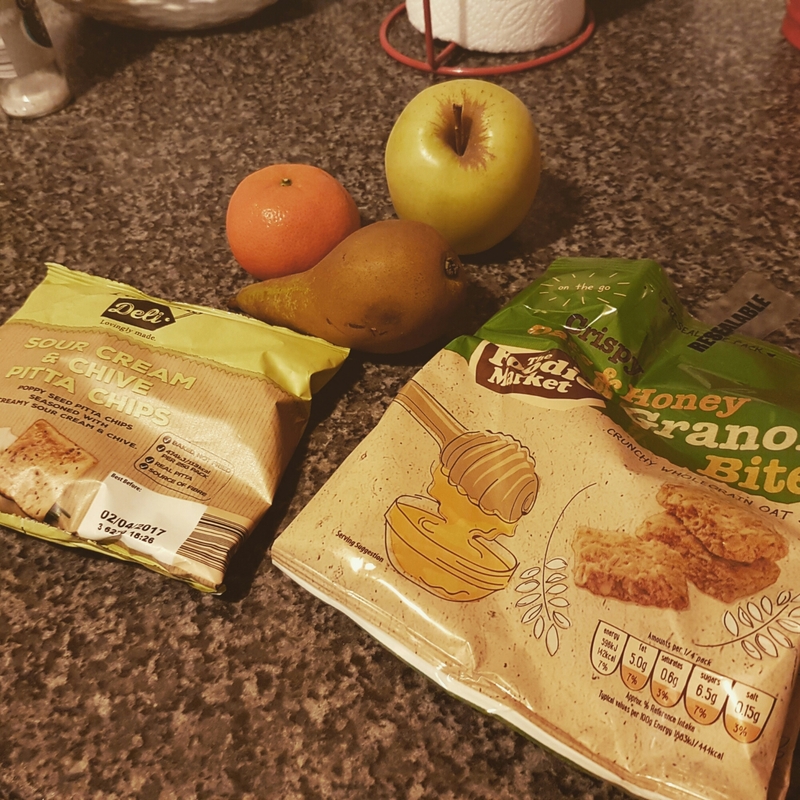 I am usually quite hungry by then and there are a few things I like to have for Snack… I obviously don’t have these all on the same day, these are just some of my faves. Here’s a typical lunch for me, I obviously mix it up as I’m not one of these people who can have the same lunch, day in, day out. 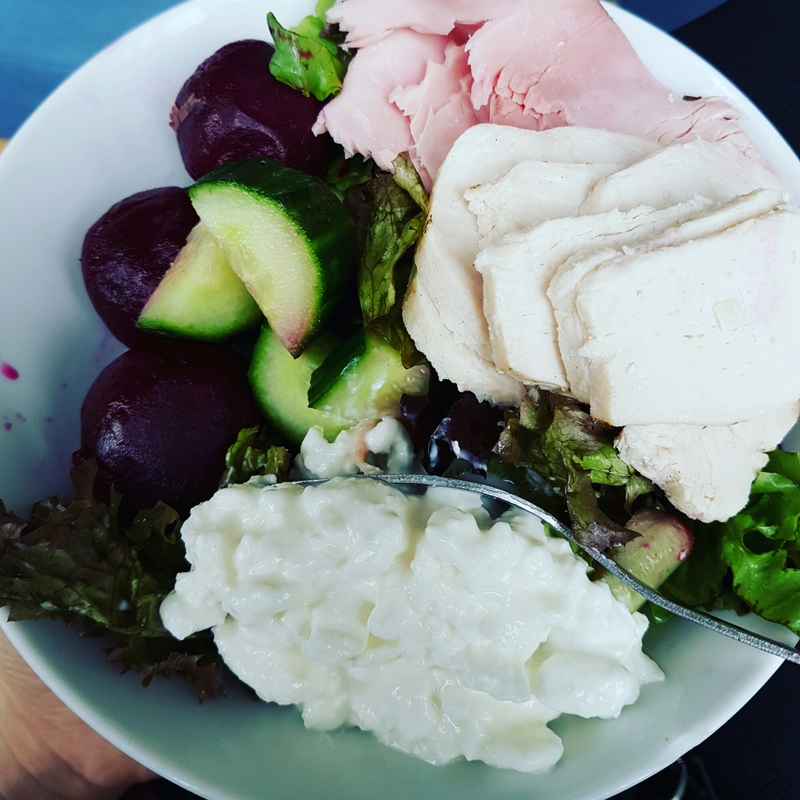 This yummy salad bowl consisted of salad leaves, cucumber, cherry tomatoes, red cabbage & beetroot served with chicken slices, ham & cottage cheese. I will usually have a mugshot alongside a salad as well as some more fruit & a Yoghurt too. 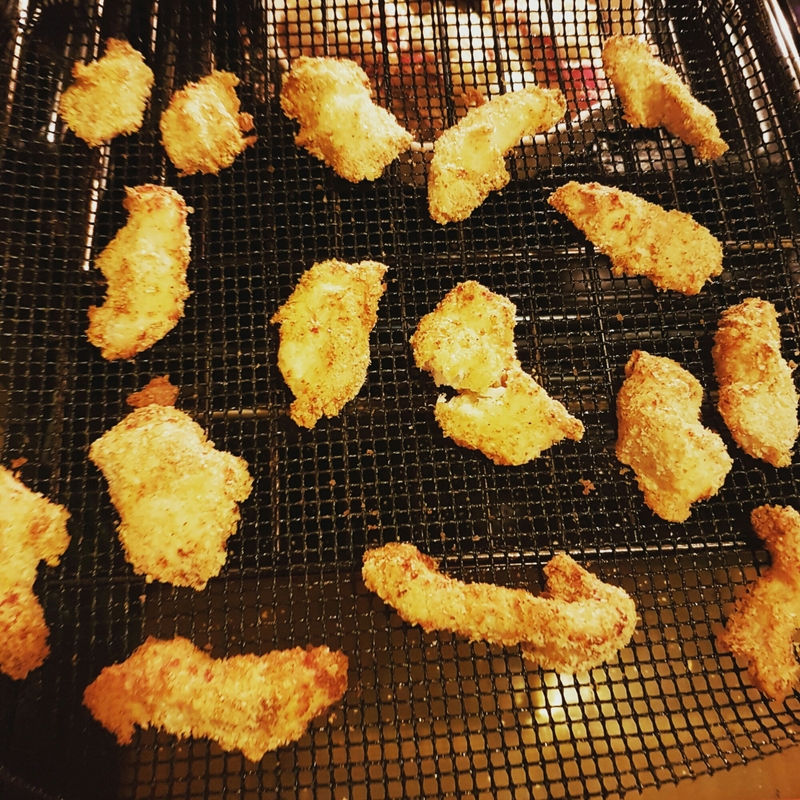 The Crispy coating is made from dipping the chicken in beaten egg & then coating it in seasoned Smash powder. 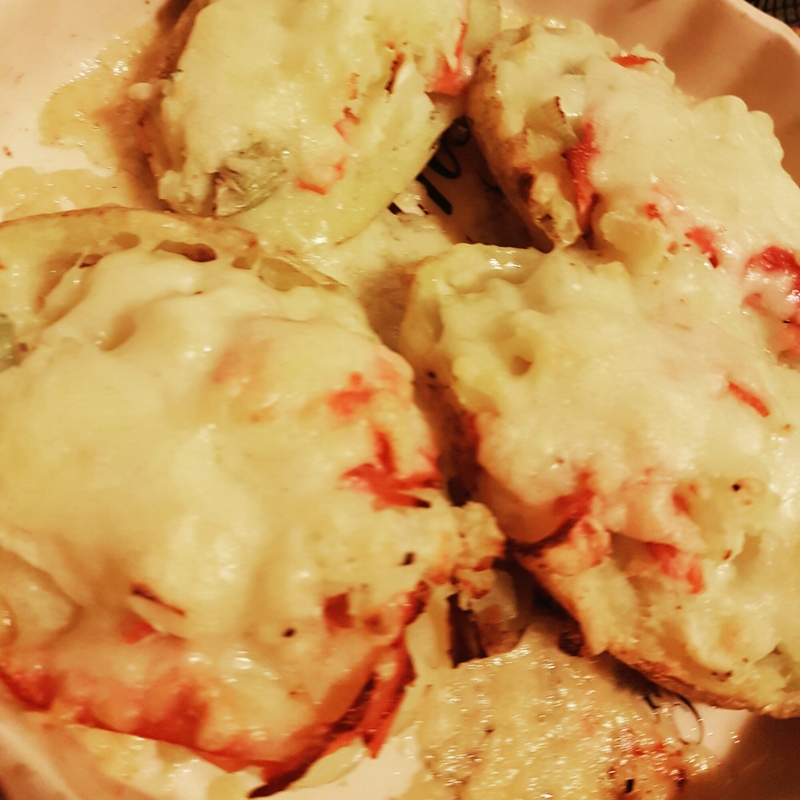 I filled the potatoes skins with a mix of the potatoes, spring onion, ham, cheese, salt & pepper. Tasty! I made the coleslaw using a combination of shredded Carrot, onion & red cabbage mixed with light mayo. 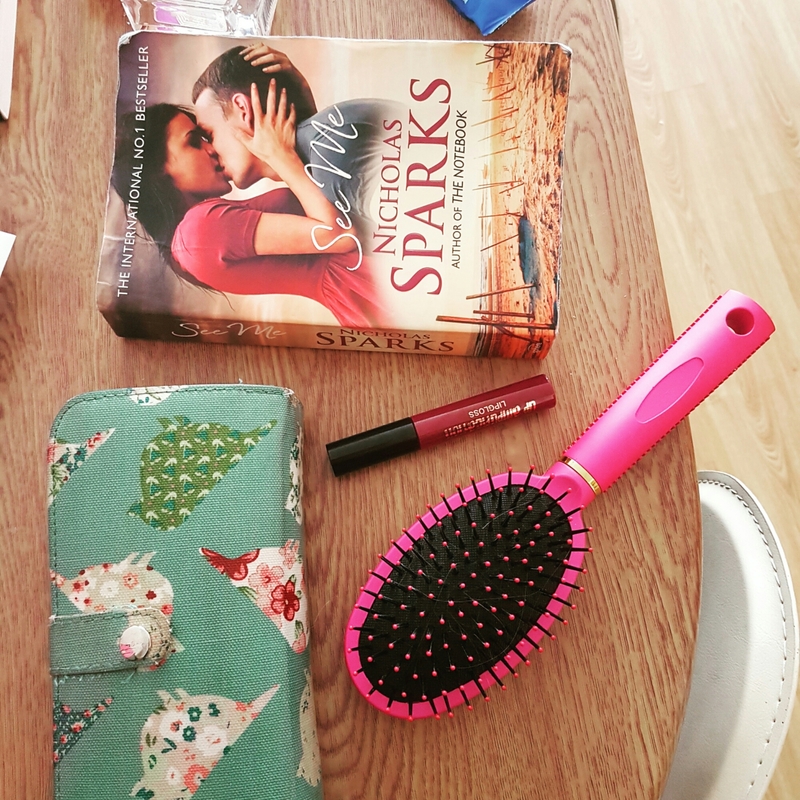 I love watching ‘whats in my bag?’ videos on yotube so I thought I would do one for my blog. Let’s start with the all important bag! 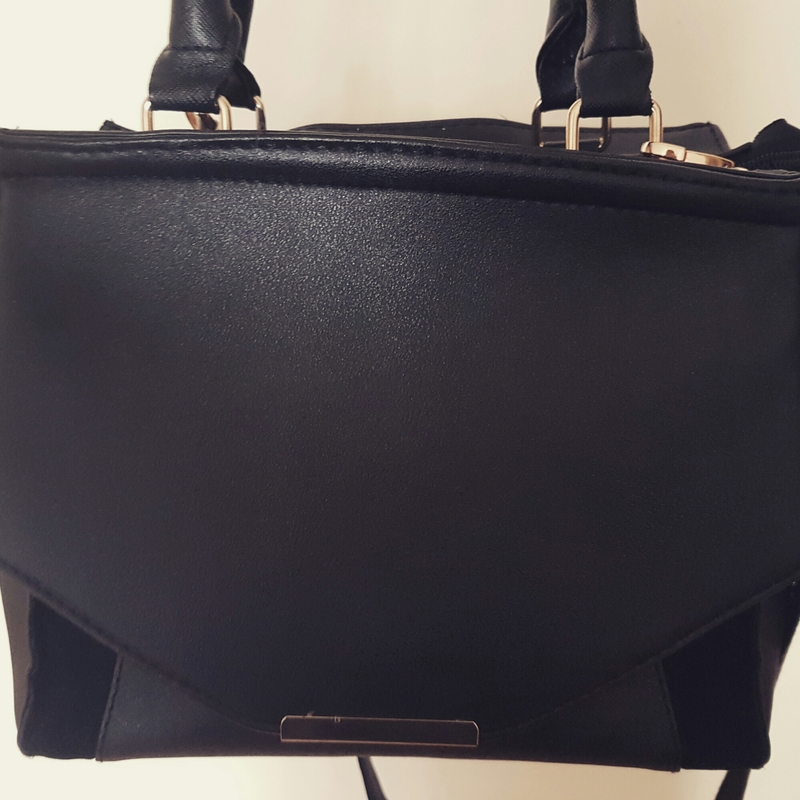 This little black bag is from Primark and was only £9. I love the faux leather material & suede material on the front. The gold detailing & clasp are really cute too. I love that it has both long & short straps too and although it looks small it fits a lot in it. 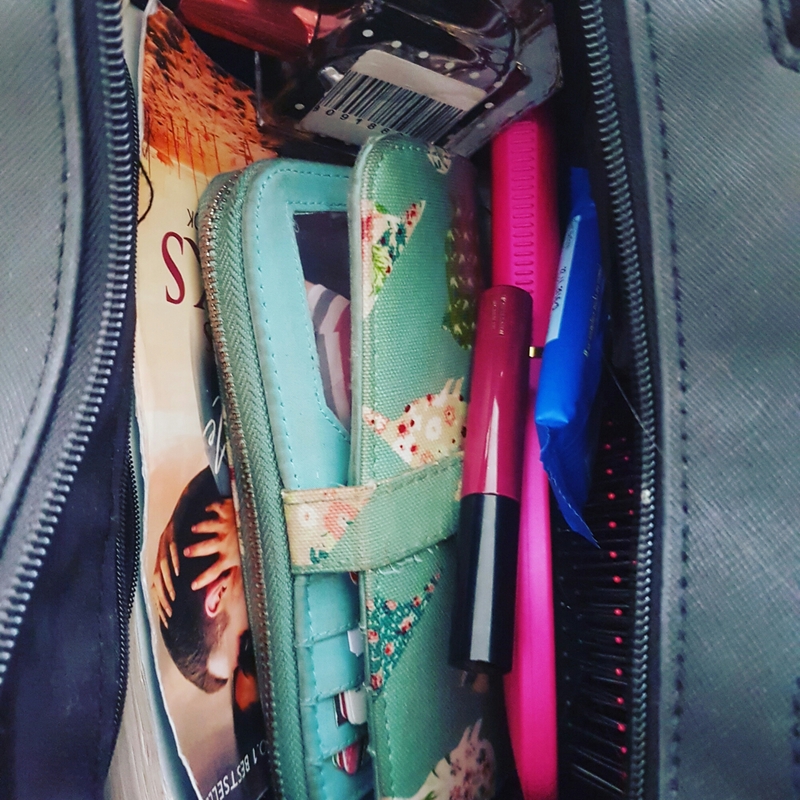 I always carry my purse & a hairbrush where ever I go. I love this purse, sage green is one of my favourite colours (one of our wedding colours too, ahhh ♡) & the patterned birds are really cute. It’s nice and big so fits lots in it too! I got this lovely big Brush from Primark for £1.50, bargin! 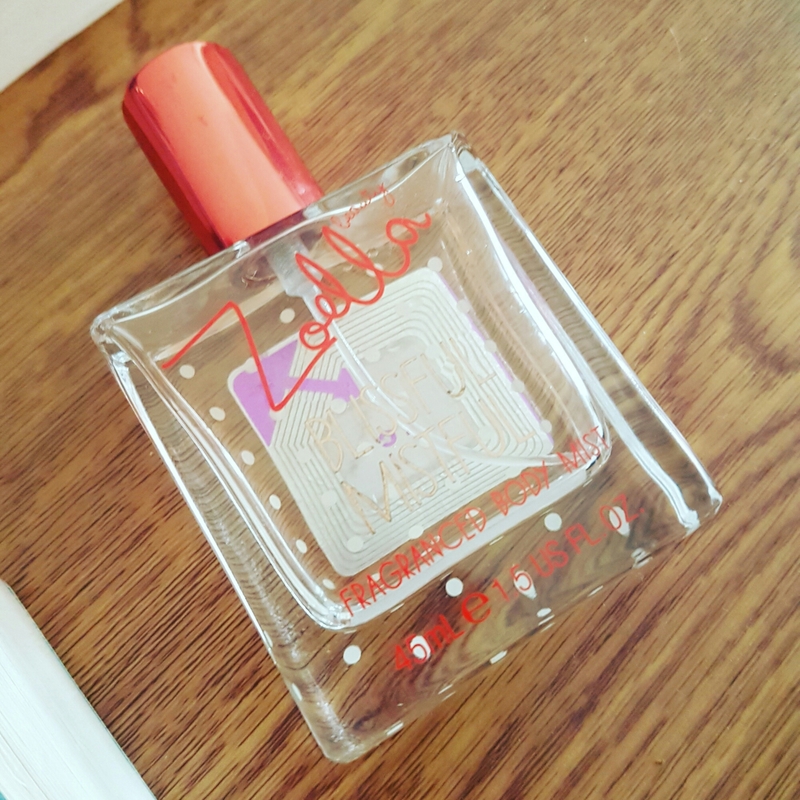 I love this body mist from Zoella original beauty range. Blissful Mistful ☆ it smells gorgeous. 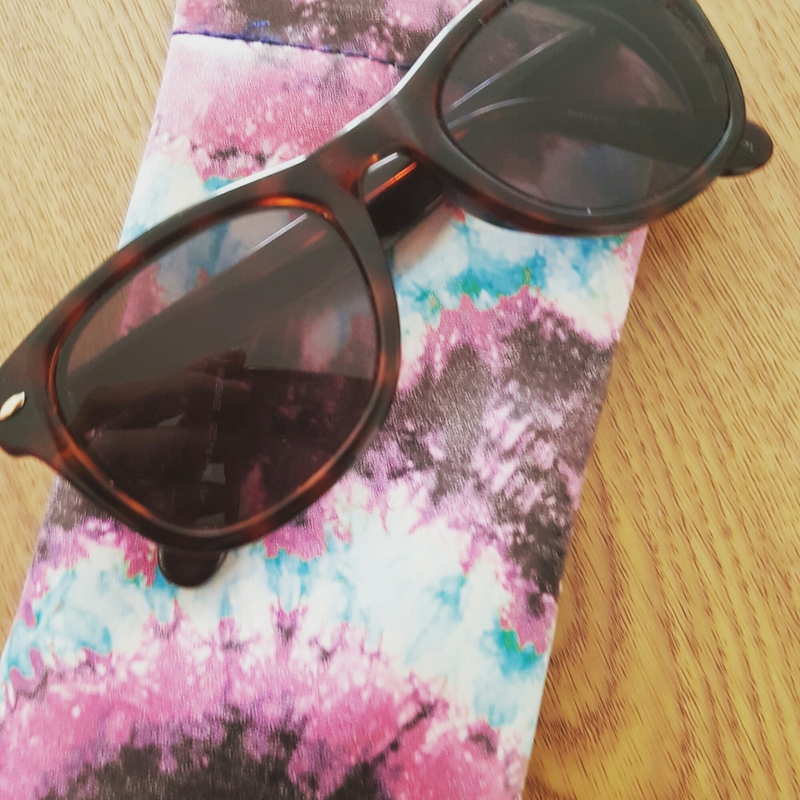 Sunglasses 😎 The weather hasn’t been too bad this summer so I’ve carried these in my bag ready. I love having decent prescription sunglasses, I always hated not being able to have nice ones or just not being able to see! 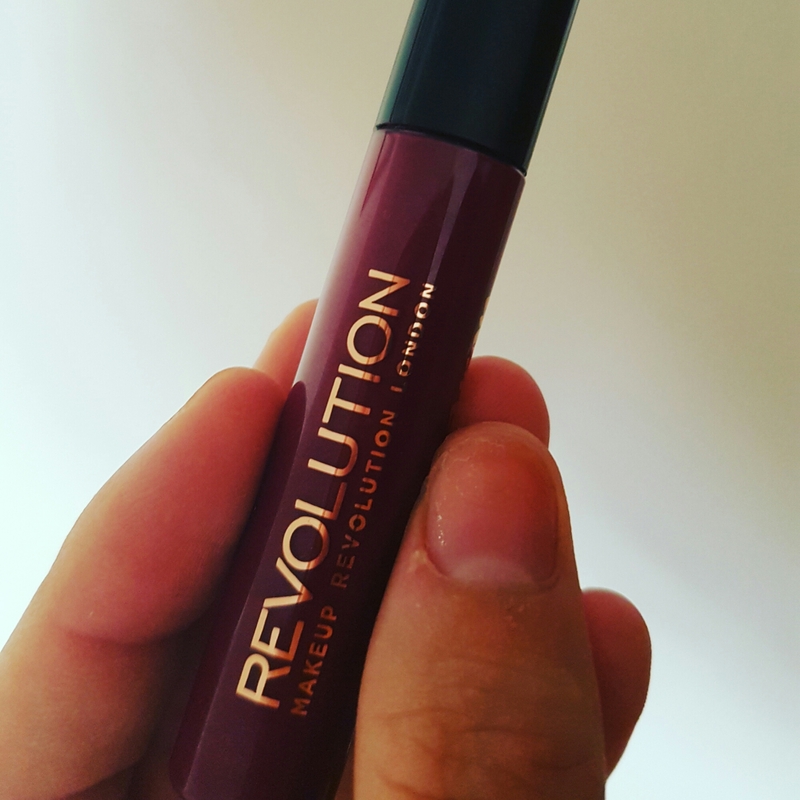 I would defiantly recommend this Revolution Lip amplification lip gloss as it has such good staying power. I’ve eaten and drank and it’s still in place with a good colour. 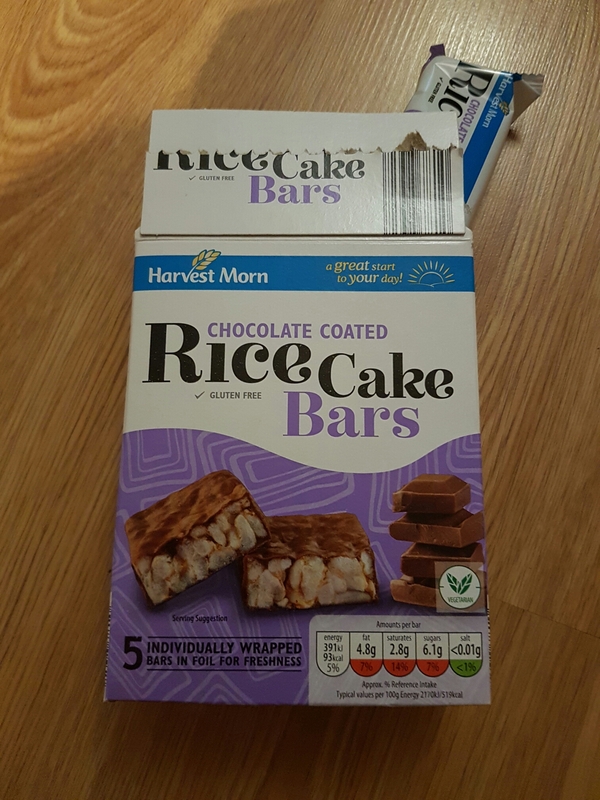 I popped one of these fruity bars, from Aldi in my bag incase I got peckish around town. This is blueberry and seeds flavour. It comes from their ‘Foodie market’ range and they do lots of other yummy fruit flavours to satisfy your sweet tooth. I hope you enjoyed this blog post, let me know if you did! 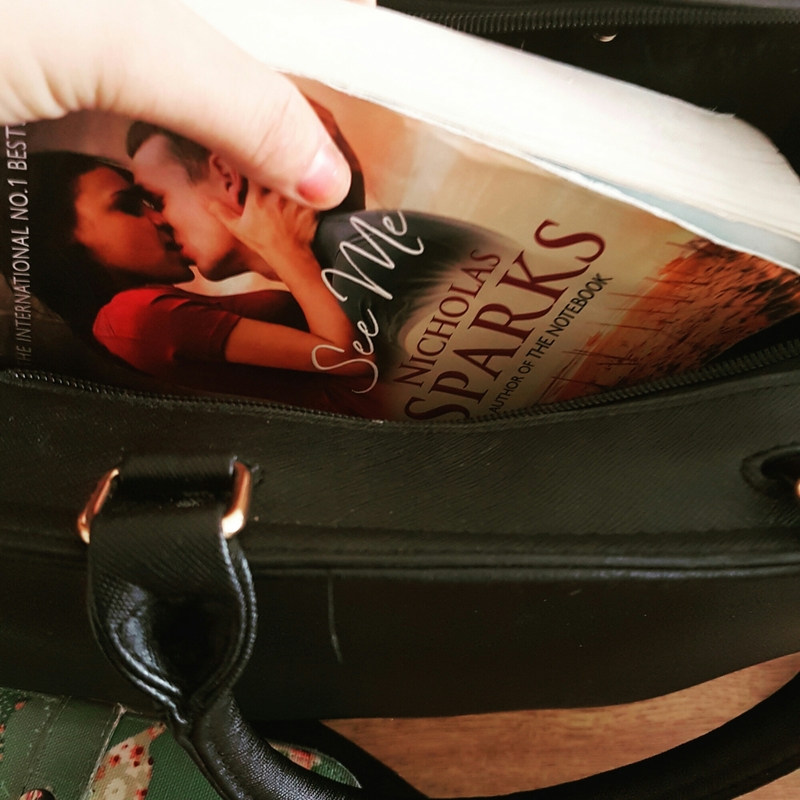 What do you always carry in your bag?